Everyone has coping mechanisms when times get tough, and music can be one of the greatest mood boosters. The Indie88 team share their favourite get-happy songs & albums, to support CAMH’s #OneBraveNight 2019. What song helps you manage difficult times? This is the song that you put on when you need to run around the kitchen naked with a broom in your hand. Life can’t get anyone down with this playing in the background. The greatest hits first album from Johnny Cash is one of those albums you can listen to all day long and it never gets boring. Yes Johnny suffered and his lyrics are haunting but sometimes that makes for the most uplifting melodies. Just try to keep a smile down when “Jackson” comes on. Ten Second Epic is from my hometown so they’re my go-to when I’m feeling homesick. I remember being obsessed with this song during a very happy and exciting time in my life, so it always brings back happy memories. I don’t know if it will do anything for anyone else, but I think everyone has a song like that! St. Lucia’s Matter is the perfect album to turn your frown upside down. I’m not saying there aren’t some heavy songs sprinkled in, but Jean-Philip Grobler is an expert in combining synths with hopeful vocals to make something you can put on in the background that will get you moving. I recommend Dancing on “Glass”, “Physical”, “Help Me Run Away”, and “Always”. I dare you to not even feel slightly better after bumping this cold-certified jam. It’s like a laser or pure joy and sunshine directly to the brain. I like to blast this song in the drearier parts of winter. The guitarist from the New Pornographers dropped this soft rock/disco pop album last year and it’s been on repeat ever since I heard it. The song “Baby Sunshine” will transport you to a sunny porch in 1974. I’m an anxious person and an insomniac, whooo boy, what a combo! Usually I need to talk about what’s bothering me, and I’m grateful to have friends who live in different time zones who will pick up their phone to listen (insomniac anxious people, hot tip: make friends with people who live in Australia.) When things feel a bit squirrelly, I tend to listen to music and albums I like to call “headphone records.” Radiohead’s Amnesiac is one of those albums. It’s beautifully weird and complex and comforting to me, kind of like a 3:17am phone call to a friend who lives on the other side of the world. This and my first cup ‘o’ coffee is all I need to get the day going in the right direction! At a time when it seemed all the joy had been sucked out of rock n roll, this album got the trains back on the track!!! This may not be the oldest song in the world but my Spotify will attest to the fact that it’s the most played track for me by far. Whether you’re feeling super down or not, It’s a beautiful bop that turns all your bad feelies into to good ones. Any Mac record seems to be able to take my stress/anxiety levels down significantly but his record 2 has gotten me through countless nights where sleep didn’t seem like an option. 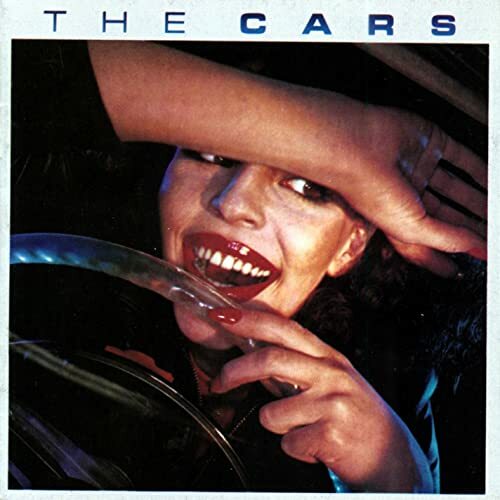 I fell in love with The Cars self-titled 1978 release — the smile on the cover says it all for me. Elektra Records signed them instantly after seeing them perform in a Boston high school gymnasium shortly after “Just What I Needed” was added to some local Boston stations. Let the Good Times Roll!